Looking for Roving Team to Advertise Your Brand in Town? 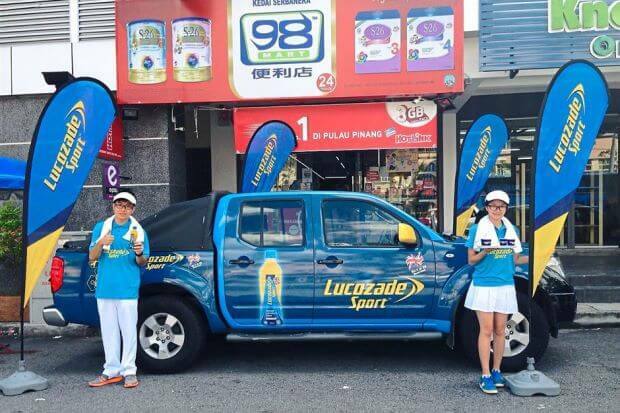 Roadshow events can be a great way to showcase your brand and product. CES provides solutions to convey your message to local markets, create awareness of your product and provide training for staff, partners and customers. However, conducting a roadshow campaign can be tedious, therefore, providing our roving team is what we do at CES who have great expertise in taking the overall message and adapting it to each individual. At CES, we believe in working closely with our clients and their products to get a better engagement during the activity. Visualization and space planning etc. Depending on the balance of your activity, CES provides one of the professional and expertise roving team to promote your brand and product around the selected locations. The locations includes in-store promotions like supermarkets and other places where the promotional activity of your brand will be taking place. We are a dedicated team producing the ultimate brand engagement experience for your customers. At CES we have the best solutions, delivering brand experiences one to one. Nothing creates a brand presence like one of our road shows experiences. Within the space of our roving team strategy, we can create the most effective interactions for your consumers. Ensuring that your customers have the finest one to one experience possible that is totally conductive to immersing them with your brand in the most intimate way. Contact us if you are looking for experiences that engage powerfully and move minds with our roving team services. At CES we generate opportunities for integrated brand experiences through clever use of the marketing strategies in our brand activation armory, including promotions, experiential, events, B2B or creative designs for your products.